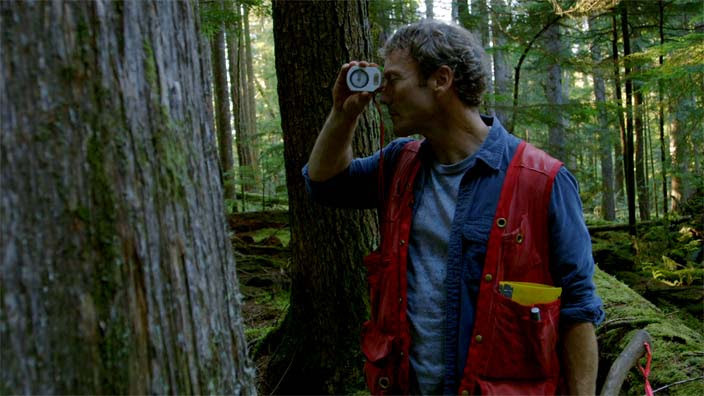 Grant Hadwin loved the forest, and made his living finding the best routes for roads that cut deep into BC’s remote and ancient forests for logging companies. But the utter devastation wrought by clear-cutting these beautiful forests began to obsess him and gradually drove him to commit an act that ran contrary to all he had come to love—killing the most beautiful and sacred tree on Haida Gwaii. Based on John Vaillant’s award–winning book, The Golden Spruce, director Sasha Snow interweaves speculative re-enactments, Haida legends, interviews and stunning cinematography to explore the motives and pressures that led to Hadwin’s unprecedented crime. Hadwin’s Judgement charts his crusade against the destruction of the world’s last great temperate rainforest—a crusade that ends tragically with his disappearance and prophetic warning, sealing Hadwin’s fate as both madman and visionary.